The first project was support for education, raising funds and shipping 27,000 lbs of library and textbooks, and collecting school supplies. The shipment contained medical supplies, computers, bicycles, and a new all-terrain vehicle. Additional funds were raised to dig a water well, complete with a water storage tank for the villagers of Kamushanga. A travel team was assembled to work with orphans at House of Joy, operated by the Sisters of Mother Theresa’s Missionaries of Charity and food was distributed to the local villagers. The focus of this project turned to Mulungushi Agro, a remote area where the Sunflower Family Orphanage was established. A Belgian missionary priest, Fr. Pierre Ruquoy helped to start this home for many homeless boys and girls. Presently, over 100 children live in the orphanage. This project’s focus was to raise funds to build shelters and purchase land for vegetable crops, dig a well, establish a small chicken farm, and purchase additional livestock. In 2013, the team raised money and helped construct an 80’x 100’ tilapia pond. Today this pond provides an annual yield of 4,000 fish to feed the children, with additional fish to trade for other necessities. 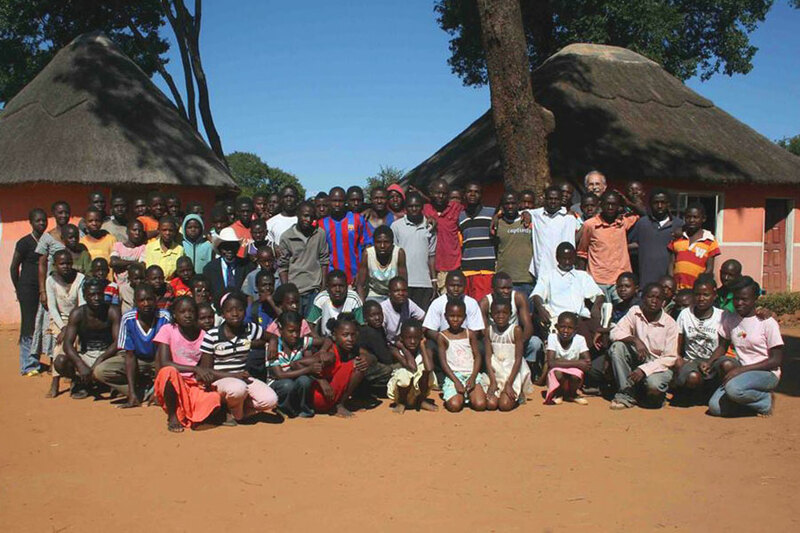 While the team was in Zambia, the children were educated about environmental and sustainable fish farming. In 2014, projects will consist of the construction of a food pantry/storage facility, and the planting of a plot of moringa trees. The goal of this project is to maintain a month’s supply of the basic needs for the children of flour, sugar, nshima (a white corn meal eaten at every meal), as well as other staple items and animal feed which are currently purchased weekly. The moringa project will supply an abundance of nutritional supplements to the diet of the children, as moringa is known as a miracle tree. The organization has recognized the need to construct high tunnels for year-round growing, establish a library, and electricity to the high school.